The M.A. in Data Protection and Privacy Law is jointly delivered with the DCU School of Government and Law and offers a choice of two streams (computing or law), based on the prior experience of candidates. It is designed to equip graduates with interdisciplinary training in data protection and privacy. It will give them the legal and technological knowledge necessary to become experts in this increasingly important field. The computing stream will enable them to design, produce and configure high quality systems that deliver solutions to the economy in the fields of data processing, data governance, regulation, audit and digital business. 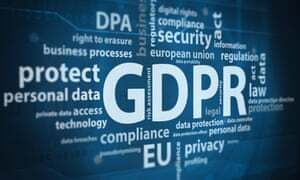 Exposed to the latest best practice and research at the intersection of law and technology, students will develop a systematic understanding of the rights, responsibilities, pitfalls and appropriate technological solutions required under GDPR and European data protection law. The importance of a developed awareness of professional responsibilities and ethics required is also emphasised. Graduates from the programme will be well positioned to advance their careers in a rapidly expanding industry. The strong interdisciplinary focus of the programme ensures that all students will complete a mix of law and computing modules supplemented by a final dissertation (law stream) or practicum (computing stream) project, carried out over the summer months. Typically, computing stream students will develop a prototype software system in the privacy or data protection area that targets a real-world problem. They may also analyse processes or techniques, and propose and evaluate alternatives. A detailed understanding of privacy rights and a detailed knowledge of the GDPR and European data protection law. An understanding of how data governance and data processing technology plays a central role in ensuring the protection of digital privacy. Cross-discipline training in the discipline outside your stream, so computing stream students will receive a foundation in law and vice versa. Advanced writing, critical evaluation and analysis skills. Development of strong team-based skills, developed through significant project work during the course. Enhanced communication skills through scheduled presentations to lecturers and peers. Development of research skills to enable contribution of novel ideas, methods and tools to new challenges in their professional careers. This M.A. degree has a common core of modules taken by all students but depending on their background they must apply for entry into two specialised streams that provide additional supports. The structure of the degree will be such that it will be accessible to persons with a background in either law or computing. The core modules are designed to be accessible to all students. Entrance on to either the law or computing stream will be dependent upon existing education and will serve to provide specialised interdisciplinary supports and will limit the advanced optional modules taken. The computing stream is for entrants with a prior background in computer science or information technology. It provides students with interdisciplinary knowledge in E.U. data protection law, data governance, information access, ethics, research skills and features a software-focused practicum for the final project. In addition it provides cross training in legal fundamentals and the option to take advanced courses in international priority areas such as cloud architecture, data management, visualisation and analytics. The programme gives students the flexibility to select additional law options, for example in comparative privacy law to get an understanding of law in other important jurisdictions such as the USA for working with multinational corporations. The law stream is for entrants with a prior background in law or a related discipline. It provides student with interdisciplinary knowledge in E.U. data protection law, data governance, information access, ethics, research skills and features a legal research-focused dissertation for the final project. In addition it provides cross training in ICT fundamentals and the option to take advanced courses in comparative privacy law , EU institutional law, European and international human rights law or contemporary legal issues in commercial practice.